Fact fans, get ready to add another name to the long list of current and former F1 drivers who’ve raced in the 24 Hours of Le Mans. 2009 World Champion Jenson Button will compete in the full “Super Season” of the WEC for Russian privateers SMP Racing, who contest the non-hybrid sub-division of the LMP1 category. This means Jenson won’t be in direct competition with former teammate Fernando Alonso, who unlike Button will have hybrid power. Button will continue to compete in Japan’s Super GT series alongside the WEC, skipping next week’s WEC season-opener at Spa to compete in its second-round. So Le Mans will be his first race. Talk about diving in at the deep end, Jenson. Sharing the BR Engineering BR1 are Mikhail Aleshin and fellow former F1-driver Vitaly Petrov. Co-developed by BR and Dallara, it has a twin-turbo V6 with 700bhp, a six-speed sequential transmission and a carbon-fibre monocoque chassis. On SMP’s Russian-language website, Jenson says he’s “looking forward” to the race and that “with [his teammates] and the experience that we have accumulated in different racing series, as well as with the fantastic experience of the team in the endurance race, we will have a wonderful chance to fight in the front ranks and claim victory”. We’re rooting for you, Jenson. Great to see Jenson in WEC. He's skills with conserving tires should help in endurance racing. Yup. There were several Mercedes CLR's that flipped in Le Mans, not just one. The Mercedes back then were flat bottom cars, which I thought contributed to them being prone to lifting off. Not sure about LMP1 regulations and ground effects, but the BR1 doesn't appear to have a flat bottom. This car probably got on the curb at a wrong angle, causing massive air to go under the car. 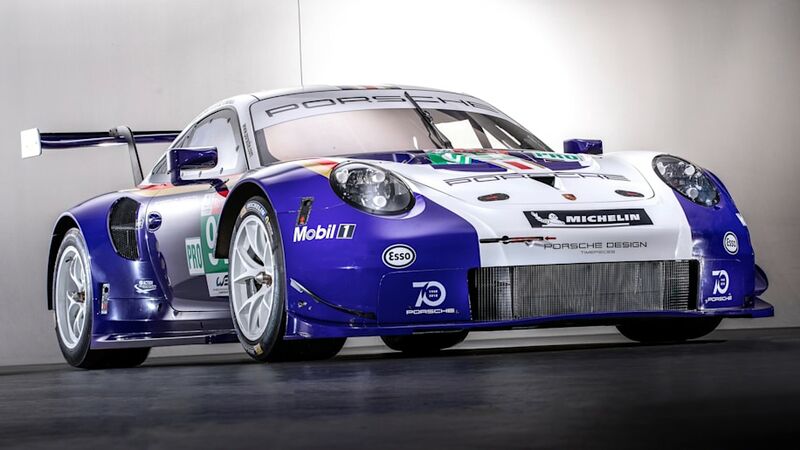 Long-time fans of Porsche, particularly its motorsports history, are in for a treat at this year's 24 Hours of Le Mans. 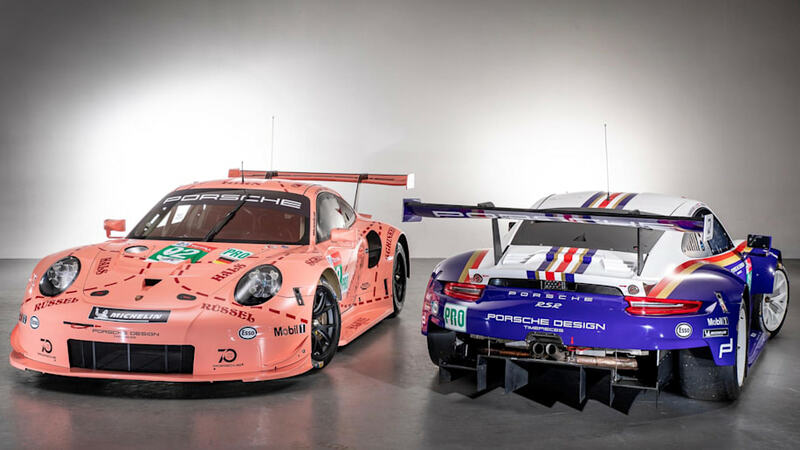 The company took two of its 911 RSR race cars and gave each of them a famous color scheme from the past. The designs are part of the company's 70th anniversary celebration. 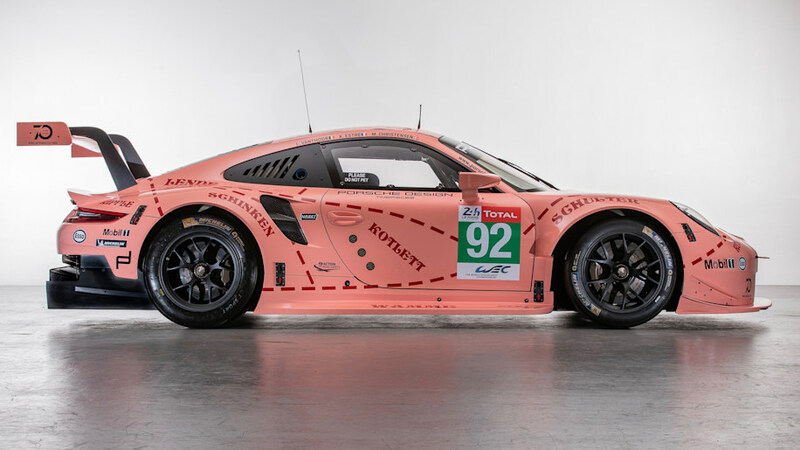 The first and most unusual paint scheme is a modern rendition of the "Pink Pig." The design was used on a Porsche 917/20 in 1971. 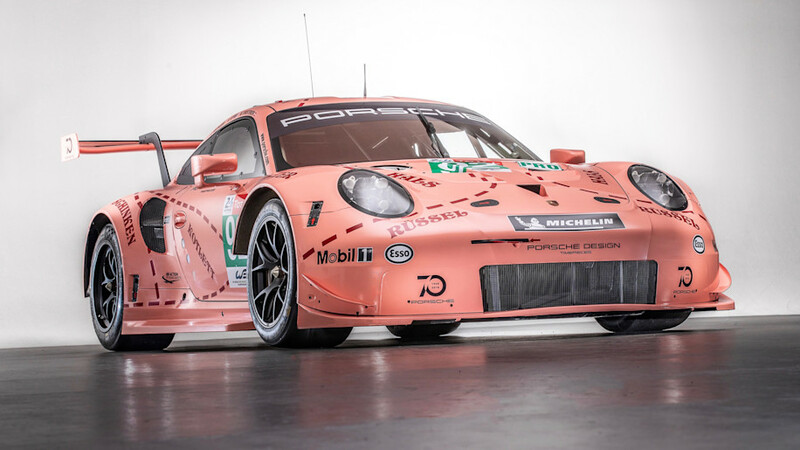 Just like the original, it's finished in a pale shade of pink with dotted lines marking out sections of the car. Each of these sections has a label for a different cut of meat from a pig. The other livery isn't as strange, but it's no less recognizable. It features a blue, red and gold color scheme of tobacco company Rothmans. 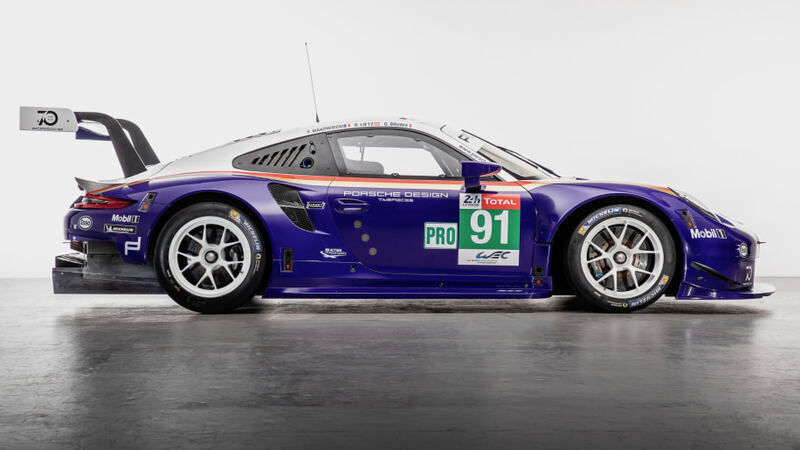 Rothmans was a sponsor of many racing Porsches over the years, and the colors appeared on everything from Le Mans racers to the Paris-Dakar 959. 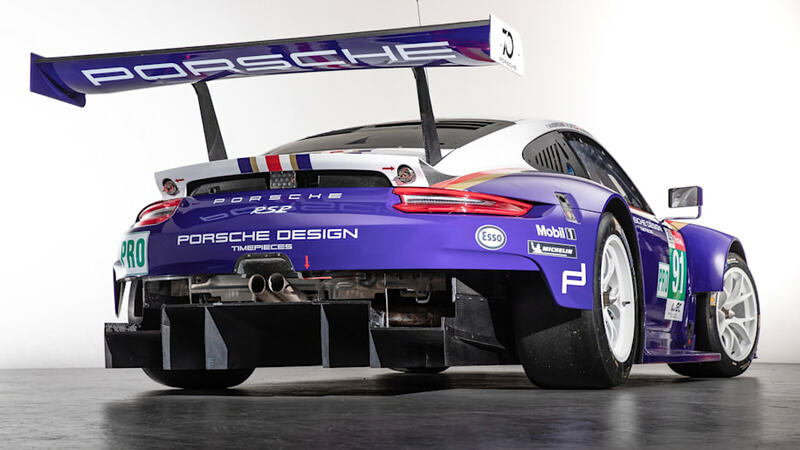 This version on the 911 RSR notably lacks any tobacco branding or advertising. 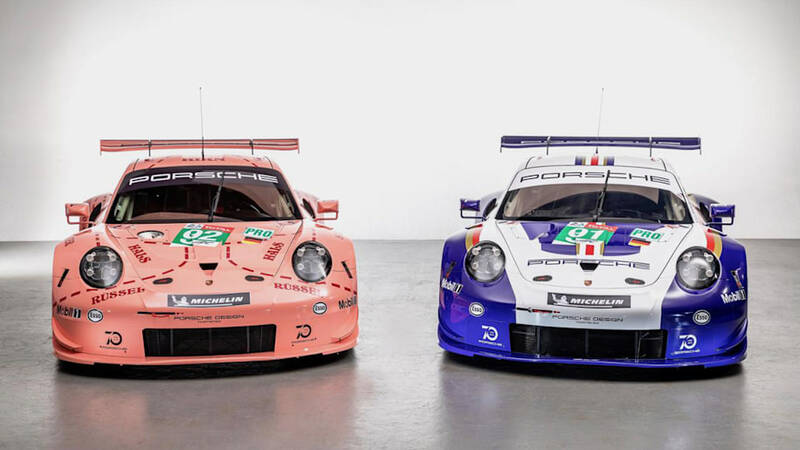 The two 911s with the retro colors will be competing alongside 8 additional 911s with more modern liveries. They will compete in the GTE classes at the 24 Hours of Le Mans. New rules for the top class of the FIA World Endurance Championship have been given the green light for introduction in time for the 2020/21 season. The major principles of the regulations that will result in a breed of prototype to replace the current LMP1 cars were signed off during Thursday's FIA World Motor Sport Council in the Phillippines. Few details have been announced in the wake of the meeting. The WMSC statement only says that the target is for manufacturer budgets to be one quarter of current levels in LMP1 and that there will be "freedom of design based on a hypercar concept". More details will be released next Friday when WEC promoter the Automobile Club de l'Ouest, which has formulated the regulations together with the FIA, holds its traditional press conference ahead of the Le Mans 24 Hours. The rules, which have the working title of 'GTP', will allow for manufacturers to give their prototype machinery the look of one of their road-going sportscars. There will be a lower level of hybrid technology allowed and it is expected that manufacturers will be able to chose to a spec energy-retrieval system rather than developing their own. The manufacturers around the table during the formulation of the new rules were Toyota, McLaren, Aston Martin, Ferrari and Ford. A plan to "encourage the participation of more female drivers in the WEC" was also approved by the WMSC, further details of which will be announced at the ACO press conference. It was also confirmed that the Sebring WEC round scheduled for next March will now be a 1000-mile race rather than 1500 miles, as previously announced. The race takes place on Friday, March 15, the day before the traditional Sebring 12 Hours IMSA WeatherTech SportsCar Championship round. Booo. Don't like this direction to "hypercars"
Velocity is apparently doing start to finish coverage of LeMans. Sadly, we cut cable last year & YouTubeTV doesn't have Velocity as a channel. I was checking this out as well this morning. This is why I haven't cancelled cable yet. Live sports. For those without cable, I recommend Motor Trend website. Which actually have more coverage then Velocity. It's currently showing free practice. They have a 14 day free preview avaible right now. So you cancel after the race is complete I assume. Last edited by F-C; 06-13-2018 at 12:48 PM. MT coverage is also available via app on the Fire Stick, I believe. Will have to check if my Roku or SmartTV have the app. 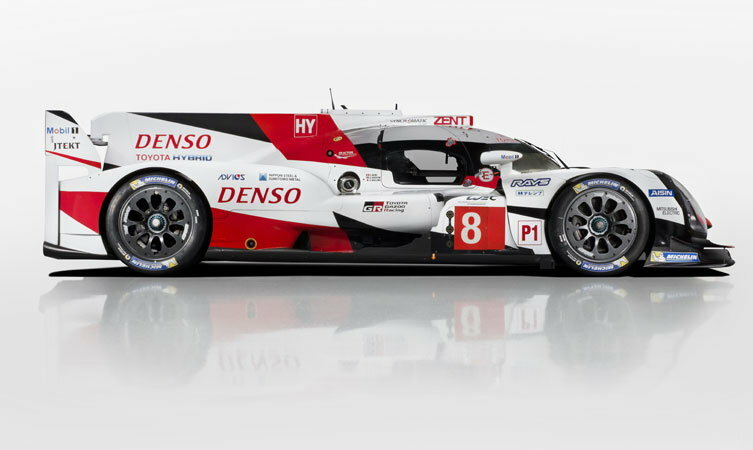 Still can't believe Toyota is only sending 2 cars to Le Mans. Based on their past history, I'd have sent 4 cars just to be sure. The Automobile Club De L’Ouest revealed a detailed framework for the proposed 2020 ‘LMP1’ regulations for the FIA World Endurance Championship (and therefore the Le Mans 24 Hours) this morning at its annual press conference at the Circuit de la Sarthe. All of them will be four-wheel drive, with a hybrid KERS system operating on the front axle and a common ECU with homologated software. Any manufacturer hybrid system must be available to privateer teams at an accessible cost. The engine architecture will be free, allowing both normally aspirated and turbocharged engines of either small or large capacities. They will, however, feature a fixed maximum performance target of 700 horsepower, with an additional 271hp from the hybrid system. 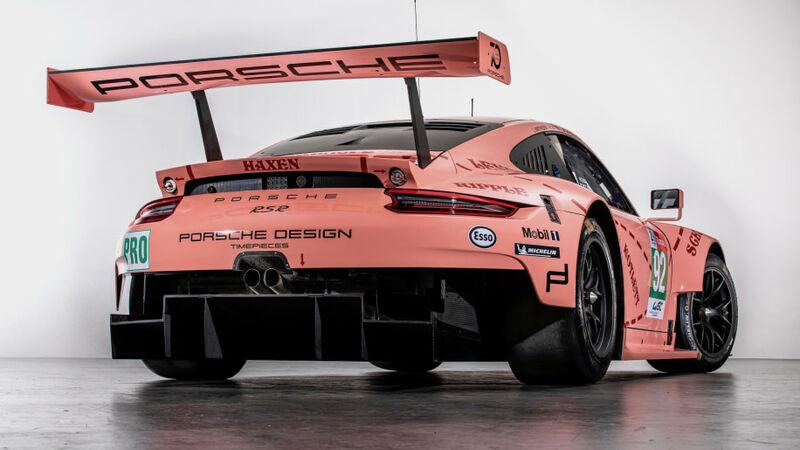 Mobile aero devices will be accepted for this, and downforce and drag will be fixed, with only one set of bodywork per season to be homologated. The target lap time for these new top class cars at Le Mans will be a 3m20s (slightly slower than current LMP1 Hybrids — Toyota’s pole lap for this year’s race was 3m15.377s). These new regulations, subject to approval, will be fixed for five years, from 2020 to 2024, with a focus on cost control. FIA WEC CEO Gerard Neveu explained to RACER after the conference that the target is 20-25 million euros [$23-$29m] for a program per season — touted as roughly a quarter of the budget of the current LMP1 hybrid programs — and that he expects aspirant privateer teams to be able to compete alongside manufacturers in the class, especially with the potential for customer programs. Neveu said multiple manufacturers have expressed interest, having been involved in conversations throughout the “long process” in developing the regulations. U.S. sports car sanctioning body IMSA was also part of the process, and although no decisions to make this new platform global have been taken yet, IMSA President Scott Atherton told RACER that making the regulations universal is a target. Neveu echoed Atherton’s desire for a universal set of regulations across the WEC and IMSA. “Clearly we would like to see a global platform, with cars eligible in IMSA and the WEC,” he told RACER. “I think that with most of the things we presented today, we are very close. But we try to reduce the budget a little more. There will be a working session in the next month before the final details are presented. IMSA is around the table still, so it must be positive. Looks interesting. I'd be okay with this replacing LMP1. Corvette Racing’s program manager Doug Fehan has confirmed that 2018 is not the last year of the C7.R in competition, despite its Le Mans (and IMSA) debut coming four years ago. Corvette Racing has scored eight GT wins in 18 attempts at Le Mans, the C7.R scoring the most recent in 2015 in the hands of Oliver Gavin, Tommy Milner and Jordan Taylor. However, its predecessor, the C6.R, ran from 2005 to 2013 inclusive, and Fehan says he’s “not concerned” with the age of the current car, despite increasing competition from newer models. “I don’t like to refer to it as an old car,” he told Motorsport.com, “but it has many years of participation here at Le Mans, which is not a bad thing. “We went faster last night in this car than we’ve ever gone before, which means that development pays off. Improvement in tires, aerodynamics, chassis – all those things. “At the end of the day the BoP is designed to be able to level that playing field [so] I’m not concerned with the age of the car at all. Not at all. Its durability and reliability and performance have been well-proven. We feel pretty confident in bringing them out as we know they’re dependable. Asked where he had seen gains made in the C7.R’s fifth year at Le Mans, Fehan replied: “First and foremost Michelin. This is a new tire for us. That’ll be an interesting development [but] we know it’s better. “I think we’ve made some gains in aerodynamics, in braking, and in the overall handling of the car with the chassis; tweaking different setups, caster, camber. Fehan also said he trusted the ACO’s Balance of Performance adjudicators to ensure the GTE Pro category was made as even as possible. Pretty much a snore fest this year unless you are an Alonso or Toyota fan. I guess these LMP1 cars can run forever like a Prius when they are set at cruise control. Saw this morning that 2 of the Ford GT teams got penalties for drivers not meeting the 6hr minimum drive time. A bit glad I don't have Velocity. Seems silly to mandate the number of laps and fuel between pit stops, why even have a 24hr race in that case? Seems more like a 24hr series of sprints between pit stops. I don't know how much the fuel issue was, but the lack of any real competition to Toyota was probably the biggest factor. G-Drive disqualified due to fuel rig tampering. 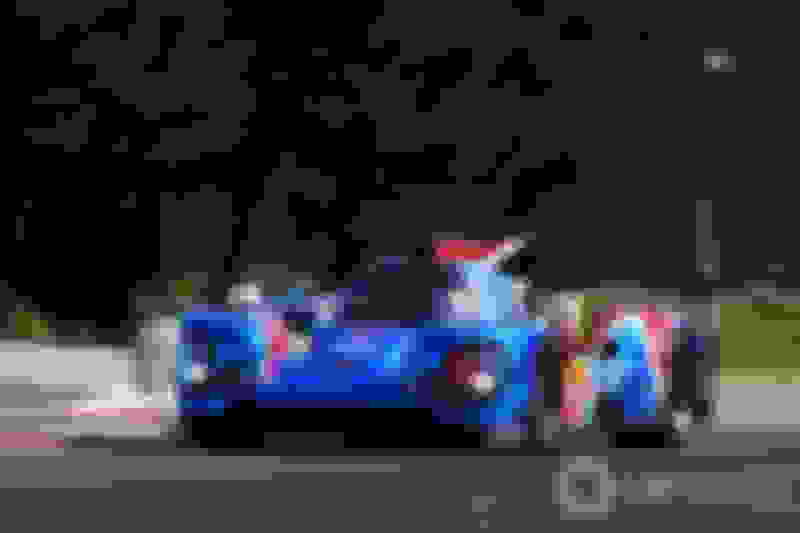 Glickenhaus launches intentions to race at Le Mans with ‘SCG 007 LMP1’…Scuderia Cameron Glickenhaus has released images of a prototype that the U.S. automaker plans to race in the 24 Hours of Le Mans. Stupid on both sides. There should be some compromise there. Aston Martin is more likely to race the successor to its Valkyrie and not the Valkyrie itself in the so-called Hypercar class (a name is yet to be selected) that will replace LMP1 as the premier class of the World Endurance Championship, and thus the 24 Hours of Le Mans as well. The news was revealed by Aston Martin CEO Andy Palmer in an interview with Autocar published Monday. The Valkyrie successor will be at a similar level to hypercars like the Ferrari LaFerrari and McLaren P1 so not technically a direct replacement to the Valkyrie, which is why Aston Martin refers to the car as the “son” or “brother” of Valkyrie. It will still be a limited-edition model with a seven-figure price tag, however. And just like the Valkyrie it will be developed in partnership with the Red Bull Racing Formula 1 team. The Valkyrie successor is due to be revealed at roughly the same time the new regulations for WEC come into play, currently scheduled for the 2020/2021 season. Considering that the Valkyrie is sold out and will likely be winding up production by then, racing its successor makes a lot more sense. Note, this is a different car to the Ferrari 488 and McLaren 720S rival that Aston Martin will launch in 2020. Palmer stressed that no decision to enter WEC's top class has been made yet. Aston Martin currently competes in the series' GT classes designed for production-based cars and will only join the new Hypercars class if organizers can reduce costs compared to current LMP1 rules. The class won't feature production-based cars but prototype race cars designed to resemble road car counterparts. It's been a long long time since Aston Martin won Le Mans. Would be great to see a true Aston Martin prototype though. Both Toyotas have been excluded from the WEC 6 Hours of Silverstone, handing outright victory to privateer LMP1 squad Rebellion Racing. The #8 and #7 Toyota TS050 Hybrids dominated the event, finishing four laps clear of the third-placed #3 Rebellion R-13 Gibson as Fernando Alonso, Sebastien Buemi and Kazuki Nakajima scored their third straight WEC victory. But in post-race scrutineering, the two Japanese cars failed their skid block deflection tests. The front part of the winning #8 car's skid block was reported to have "deflected 6mm on the right-hand side and 8mm on the left-hand side under the specified 2500 N load at the front of the skid block". The second-placed #7 Toyota's infraction was slightly different, as “the front part of the skid block deflected 9mm under the specified 2500 N load on both sides of the skid block". It means Rebellion drivers Gustavo Menezes, Thomas Laurent and Mathias Beche inherit victory, ahead of the sister #1 car of Neel Jani and Andre Lotterer. SMP Racing pair Stephane Sarrazin and Egor Orudzhev move up to the final place on the podium. Stewards' bulletins relating to the exclusion of both Toyotas said the team had explained that both its cars sustained damage to their skid blocks in-race but that this was not deemed a valid excuse. They read: "Although there are no reports of the car being involved in any specific incident, the competitor stated that his only explanation for the non-conformity must have been as a result of the car running off-track and sustaining some sort of damage to the internal stays that fix that portion of the car. The #3 Rebellion inherited what became victory as a result of the #1 car requiring a change of rear bodywork in the final hour in order to fix a faulty tail-light. Following the news of the exclusion of both of its cars, a statement from Toyota read: "Both cars suffered damage to their respective front floor areas during the race due to impacts against the new kerbs at Silverstone. Regrettably, this also caused both cars to fail deflection tests in post-race scrutineering. As a result, race stewards disqualified both cars. "The design and construction of the part concerned has not changed since its introduction at the beginning of the 2017 season. Since then it has successfully passed similar tests, most recently at Spa this season. Bizarre. It's pretty clear that Toyota did not intend to cheat, since they have no need to cheat to win. “We would love to go and race there,” Christian said. “Finally, there is a chance.” He famously built the Koenigsegg CCGT back in 2007 in a bid to compete at Le Mans. It was built as a side project, based on the CCR with a carbon monocoque, weighing just under 1,000kg and producing 600bhp from a 5.0-litre dry-sumped V8. However, the rules were changed for the Le Mans GT1 class, banning carbon fibre monocoques and raising the minimum production run from 20 to 350 per year. So, only one exists, and it never raced. I'll be watching some Astons race this weekend at the Glen for the Pirelli World Challenge. Can't wait. McLaren’s decision as to whether or not it will sign up to the 2020 as yet unnamed Hypercar regulations is set to come soon, and that with the regulations almost finalized, McLaren’s Zak Brown feels they could bring “glory years” back to Le Mans in the near future. Speaking during last weekend’s ELMS round at Spa, Brown explained that there’s a two-stage process to green-lighting the project. “I have a meeting tomorrow [last Sunday] at my office with Pierre Fillon, Gerard Neveu and Richard Mille and I know we are now very close to seeing the final regulations and rules. Tomorrow is a day for us to respond to what they presented to us,” he said. Brown also insists there’s still plenty of interest from other manufacturers in the incoming rules and that believes the direction which the ACO and FIA are heading is the right one to attract multiple manufacturers, despite reports to the contrary. “I think there’s a lot of interested parties,” he said. “The direction it’s headed, I think will be very successful. I could see five to six manufacturers. Maybe not on day one, but once a few commit, others will come. I think we’ll see the glory years at Le Mans, and with that will come big drivers and sponsors. “I think we’ll see five or six manufacturers involved. Perhaps not all of them from the very start, but I think they have got this right; there is real appeal for manufacturers at the price and technology level that is being set. Should McLaren sign up, Brown confirmed that his sports car team United Autosports, which he runs alongside Richard Dean and is planning to take to the WEC, will not be involved. The only tie-up between his two companies would be if United Autosports considered running a customer car designed and built by McLaren. “I will never combine United Autosports and McLaren in any way shape or form,” he said “I don’t know if it’s a conflict of interest, but people will say it is so I won’t go there. With drivers, like bringing Fernando or Lando over? Sure, that’s fine. But United will never be a McLaren team. The rule set due to replace the current FIA WEC LMP1 class for the 2020/ 2021 season is on track for formal adoption by the FIA in early December. That was the message from senior sources in the FIA WEC hierarchy at Fuji Speedway last weekend, where more details emerged of the package that will be offered to both manufacturers and privateers for the next iteration of top-class racing prototypes in ACO-rules racing. An outline of the new regulations was presented to the FIA’s World Motorsport Council (WMSC) last week with the full rules now due to be sent to the FIA Endurance Commission on November 9, before being submitted for formal approval by the WMSC on December 5. Before then though, a rapid-fire series of board level presentations is set to be completed, with seven manufacturers welcoming a group including ACO President Pierre Fillon, FIA Endurance Commission President Richard Mille and WEC CEO Gerard Neveu. Whilst those manufacturers are believed to include companies that have been fully engaged with the development of the rules, including Toyota, Aston Martin and McLaren, RACER understands that others have requested the presentation in follow up to an information pack that was sent out by the ACO. As far as the rules themselves are concerned, there has been significant progress made since June when the outline concept was presented at the Le Mans 24 Hours. Work has been done on further containing costs through restrictions in available areas of development for the new cars. The cars are set to feature a single ‘mild’ hybrid system, operating on the front axle only. The performance window for the cars has been established, and offers real opportunity for entrants to consider a wide range of engine options: engine power is restricted to 520 kw (just shy of 700 hp), and there is no restriction on engine architecture, meaning that either road-derived or pure race engines can be selected. The hybrid system will be restricted to a 200kw motor (c.270hp) with the amount of energy still to be confirmed. There is, however, a cost cap to be applied to the system in an open market for homologated hybrid systems – all systems must be available to any privateer team that wishes to utilize them at a fixed cost of two million euros ($2.3 million) per season for two cars. The performance window applied in the regulations has been designed to ensure that any escalation of development is contained. A team could spend on development, but will not be permitted to perform outside the performance ‘window’. That, in turn, should mean that the racing in the top class stays close, not only between any manufacturer entries, but also for any privateer takers for whom the same controls will apply. The 2020 regulations are designed for an initial five-year lifespan, although evolutionary updates are allowed either for styling purposes, or to recover performance if they are not reaching the ‘window’, as well as for safety and reliability. The adoption of a single tire supplier, felt to be entirely appropriate with such a tight performance window being applied. Restrictions on testing, including no testing during overseas season, no access to the cars outside race weekends, adoption of three ‘collective’ tests (including two endurance tests) of two days apiece plus four free test days. Limits on numbers of engines and ERS systems available for use during a season. A single pit stop area per two car team (except Le Mans) meaning that pit equipment and personnel costs will be reduced. It is currently envisaged that a two-car team from a manufacturer could be delivered for 20 million euros per WEC season ($23 million), and that a privateer team, benefiting from the open market and cost control in hybrid powertrain costs, could do the same for around 16 million euros ($18.5 million), again for a two-car effort. There would be no restriction on any team decision to spend more, although additional spending would not allow any team to run with any performance advantage. The name of the new class is still to be decided and will be determined early next year after a public polling of industry and, in particular, fans, starting with around 10 alternatives featuring the key words and phrases involved in the definition of the new cars.